At some point, every dog will need some type of grooming, whether they are a smooth, short-haired chihuahua or a big, fluffy Siberian husky. A nice wash and trim will not only make your dog look good, but it can help them feel better, especially in the hot summer months. Professional grooming costs can add up quickly, so more people are looking at home grooming as a more affordable option. This means purchasing a pair of reliable dog clippers for home use. Consumers, both professionals and amateurs alike, have spoken, and the best dog grooming clippers are tools that are durable, efficient, easy-to-use, and cost-effective. So what is the best dog clipper? Don’t worry. We have you covered. Check out the 5 top-rated dog clippers for 2018 below, and keep reading for some helpful tips on keeping your dog looking great. 2 Which Brand of Dog Clippers is the Best? 7.1 How often should I groom my dog? 7.2 Can I use human clippers on a dog? 7.3 How can I make my dog more comfortable with grooming? 7.4 Can I shave or closely trim my doubled coated dog? 7.5 Is it safe to groom my dog’s ears, paws, etc.? 7.6 What speed should I use when grooming my dog with clippers? You might have considered other aspects of the clipper and make your decision, but still contemplating if you should opt for a corded or cordless dog clipper. Know about corded and cordless clippers will help you decide on which is best for your dog. The first and most significant advantage of a cordless clipper is that you will not be stuck to the wall while grooming your dog. Cordless clippers are much easier to maneuver and they are lighter. This makes them a great option for tight areas with limited space. Another factor that you need to pay more attention to in a cordless dog clipper is the battery life. Running a clipper through thick dog hair consumes lots of power and it can make the battery run down faster. You need to pay more attention to the kind of battery the clipper uses. While Ni-Cad batteries are cheaper than other types of batteries, they are older technology, and their battery life is very short. On the other hand, lithium can last up to two or three hours of continuous use, and their charge time is quick. When it comes to corded clippers, battery life isn’t an issue therefore it becomes more suitable for professional groomers who work a lot with clipper. If you have a dog with matted, thick hair, then you need a clipper that will not die or slow you down when grooming your dog. A corded clipper will give you all the power you need and it will also save you time. Nevertheless, corded dog clippers have cords sticking out of their bottom end, and these can sometimes get in the way when cutting a dog’s hair. Corded dog clippers are not the best option for tight areas with limited space, and they are also difficult to maneuver. Why these features? For starters, a high RPM will ensure your clippers can keep up with the amount of fur you are trying to trim. If you are working with a dog who has a thick coat, or a pup with lots of mats, you need to have a pair of clippers with a high speed. Otherwise, you may end up getting the fur more tangled, which can cause pain to your pet. A high speed will also let you complete your grooming task quickly, which is a benefit to both you and your dog. Durable blades serve a similar purpose. Sharp, accurate blades will cut your dogs fur without needing to worry about tangles or nips as you go. This not only makes the job easier, but it keeps your dog from getting hurt during the process. Durable blades are also more cost-effective, as they’ll need to be replaced less often. Look for ceramic blades for the ultimate in sharpness and durability. An important thing to remember is that most professional quality clippers have proprietary blades, so you’ll need to purchase them from the company so they fit your make and model. A lightweight pair of clippers means less strain on the groomer’s arm, which is always a good thing. Heavy models of dog clippers can really tire someone out, especially if they are trying to groom a big dog, such as a Great Dane or a mastiff. When your arm gets tired, you can get sloppy, which can lead to an unattractive cut or even accidentally harming your dog. You’ll want to try to find a clipper that is able to balance both a lightweight model with a powerful motor. Having a variety of speed options available is a must, especially if you are trying to groom more than one dog breed. Different types of fur may require a faster or slower speed, so purchasing a single-speed clipper can be really limiting. Trying to clip a dog with thick fur on a slow speed is incredibly frustrating, and trying to use a fast speed on a short-haired dog can result in a lack of accuracy, meaning your cut might look sloppy. To find a compromise, look for an option that at least has 3-5 different speed options. A quiet motor is something to consider. If your dog has a nervous disposition, a loud pair of clippers might scare them and make it harder to finish a grooming session. This means they might squirm around or try to run, making your job much harder! Try to find the best pair of quiet dog clippers to soothe your dog and make it safer to give them a cut. The best way to learn if a pair of clippers is quiet is to watch online videos, read customer reviews, and try them out yourself if you get the option. Finally, look for clippers that come with a set of accessories, including a cleaning brush, cleaning oils, and a variety of combs. This will save you some money since you won’t have to buy them separately. Additionally, purchasing clippers with the accessories included ensures you get the proper tools for your specific make and model of dog clippers. This is important, as using something incompatible with your grooming tools could void the warranty and break the clippers. Which Brand of Dog Clippers is the Best? A lot of dog owners most times fall into the trap of purchasing a dizzying array of clippers and blades for their dogs. They usually get stuck deciding on which dog clipper brand to settle for. Here are the best brand dog clippers out there. Andis started back in 1920, and today the dog grooming products of the company are sold in more than 90 countries across the globe. These clippers are 75 percent more powerful and their blades are adjustable with rounded tips. The motor in the clipper runs quietly, and it keeps your dog stress-free and calm. When it comes to dog clippers, this brand is one of the most favored. The reason is that Oster blades can be used on other clippers from different manufacturers. A lot of clipper blades are designed to fit Oster clippers or similar products. In 1919, this company invented the first practical hair clipper, and today they are known all over the world. 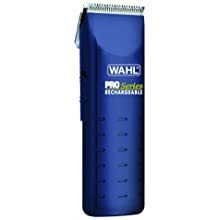 Wahl clippers are one of the best in the industry, and they are the leading brand when it comes to the manufacturing of animal grooming products. While there are many options of dog clippers available on the market, you should only look at tools that are considered ‘professional’ when shopping, even if you plan to use them at home. This is because the best professional dog clippers will be more reliable than a cheap pair marketed to home users. These clippers will need to stand up to repeated use on a variety of different fur textures. Since they are built to last, these grooming tools are far more cost-effective and can save you a lot of frustration as well. The best professional dog clippers will also benefit your pet. Professional clippers will come with several different comb attachments and speeds, so you can easily adapt to your pets’ fur. This also helps you give them the best cut for their breed. Cheap clippers may have a weak motor or dull blades, which can cause pulling when trying to trim your dog’s fur. This can cause your pet pain and might make them scared of grooming in the future. It’s easier to just avoid the hassle up front by purchasing a good pair of pet clippers for a little bit more money. 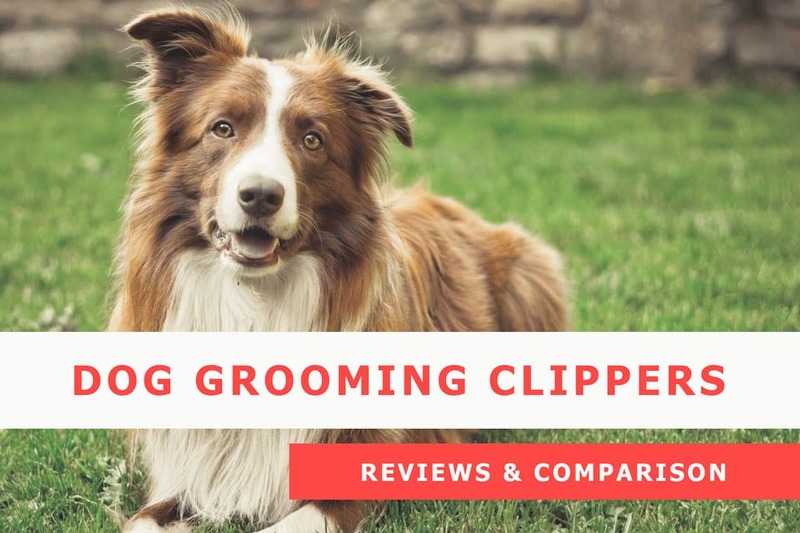 Comparison Table: 5 Best Dog Grooming clippers in 2019. Ready to see the top choices for 2019? These are the five highest-rated tools, based on dog clipper reviews, features, and price. 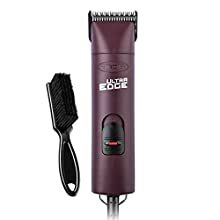 This clipper features two speeds for versatility. At low and high speed, it will run at 3400 and 4400 strokes per minute, respectively. Andis is also a well-known brand, so you can expect these clippers to be long-lasting. The handle and housing are made of a shatter-proof material, so even if you drop it, these clippers will be ok. This makes them a great choice for someone who needs to groom a dog that is nervous about the process or one that just really wants to go play. This tool comes with an UltraEdge #10 blade, which is made with carburized steel for strength and sharpness. One of the biggest benefits of this clipper is that when you need new blades, you aren’t limited to Andis’ UltraEdge line only. Andis’ CeramicEdge and ShowEdge blades will also fit, as well as Oster’s A5 blades. This makes it much easier to find replacement blades, and you can also shop around to find a good deal too. The last benefit to these clippers is the maintenance level. Andis claims that this model is maintenance-free; no oil or grease is needed to keep the moving parts running well. These pair clippers also run incredibly cool, so there’s no fans or air vents that need to be cleaned or repaired either. This grooming tool is an excellent professional choice for someone who doesn’t have a lot of time to maintain their equipment. need to be careful with the cord. This is another clipper features two different speeds, allowing groomers to get more power as needed. It has a motor that provides 3000 strokes on low speed and over 4000 strokes per minute on high, meaning it can handle even the thickest dog fur. It’s also marketed for use on cats, horses, and other animals. A nice feature of these clippers is the cool running motor. These dog clippers won’t get hot as you use them, even if you have a big animal that takes a while to clip. The motor is also very quiet, considering how powerful it is. This makes them a suitable choice for anxious dogs as well. This pair of dog clippers is really affordable too, especially when you consider everything it comes with. Each clipper set will include the actual tool, a specific Oster CrygenX blade, a blade guard, blade oil, blade grease, a cleaning kit, and instructions for use. It’s a great deal for home groomers looking for professional quality. Tends to get hot some time after a hard run, need a little spray to make it cool. The PowerGroom plus line from Andis is made for the toughest jobs, so it’s what you should consider if you have a breed like an Australian shepherd or a curly poodle. With 5 different speeds ranging from 2500 to 5000 strokes per minute, this tool can be used on all kinds of dog breeds and sizes, with enough strength for even the most stubborn dog fur. An added benefit is that even though these clippers are made for thick coats and tough grooming sessions, they run fairly cool. With the right accessories, you can groom for several hours before it gets too hot. This grooming tool can use a variety of different clipper blades, so you can customize your clippers for your needs. It will use blades from the brands Andis, Wahl, Oster, and Master Grooming Tools. Not only will this let you get the right blade for the job, it also means you might be able to save some money by shopping around. To get you started, this tool comes with a UltraEdge blade to try. One of the nicest features on this model is the swiveling cord. It swivels a complete 360 degrees around, so you won’t need to worry about the cord getting in your way as you groom, or finding a way to get tangled when you move. If you choose, you can also get a battery pack for this model, making the clippers completely cordless for the ultimate in portability. Wahl also offers many professional models of clippers. This kit is one of their more popular ones. One of the best features is Wahl’s unique “5-in-1” blade, which can adjust to different sizes with an easy-to-use lever. This means the clippers can be used on a variety of different dogs and can easily adjust to different fur lengths for clipping their body, face, paws, and more. This is definitely one of the biggest draws for this model, whether you are a professional or amateur at home. This kit comes with two rechargeable battery packs, so you can have up to 160 minutes of cordless clipping time. 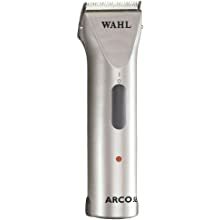 While many other clippers lose their power when running on a battery, the ARCO SE stays strong, able to cut through thick fur even while unplugged. This is excellent for someone who wants to groom their pets or animals outdoors. This grooming tool is lightweight, weighing a little less than half a pound! Despite that, it can run at speeds of up to 5500 strokes per minute, making it the most powerful option on this list. It can glide through even the most matted fur effortlessly. It’s power also means that this kit is suitable for all kinds of animals, including horses and livestock. 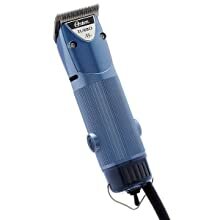 If you have other pets or animals you need to worry about, this clipper is your best option. Get a little hot if you use it many time a day. Wahl is another prominent brand in the pet grooming market, and this pair of clippers is one of their best offerings for the home. This is one of the most affordable options available. When you purchase this kit, you receive the clippers, an instruction manual and DVD, 4 different guide combs, a pair of scissors, a mirror, and a carrying case. It also comes with a self-sharpening blade made of high-carbon steel, so you shouldn’t need a replacement for quite some time. While these aren’t the most durable clippers on this list, they are so popular because they work great for home grooming jobs. They are tough enough to stand up to a variety of fur coats and can be used on different animals, including cats. They are also very easy to use, and the clippers have a battery included for cordless use. For someone trying to groom their own pets, this is a handy feature, since most of us don’t have a grooming table or pole set up in the house! The price and the instructional DVD made this kit the smartest choice for someone just starting out, or someone who is not actually sure if they want to make the switch from professional grooming services to home grooming themselves. It also ensures that someone new won’t get frustrated by a professional model with all the bells and whistles. It’s only a small risk compared to some of the more pricey professional clippers available. self-sharpening blade made of high-carbon steel. great for grooming at home. They are not designed for heavy duty use, work well for long haired or double-coated dog. Maintaining your grooming clipper and blades are very important, as this plays a vital role in the durability of the product. It also offers a smooth experience when grooming your dog. Cleaning and oiling clipper blades are pretty simple and you don’t need a technician to do this for you. To clean and oil your blade, you will need a little brush (preferably toothbrush), blade wash, and oil for grooming clipper blades. 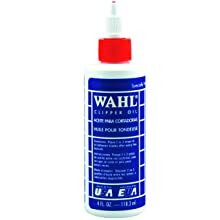 One of the best clipper oil is the Wahl Clipper Oil. This oil is good for pet clipper blades and it is of high quality and standard. To clean your blade, you need to remove the blade from the clipper, use the brush to clean it very well. After that, put the blade back on the clipper, switch on the clipper and put the blade in the blade wash (only the blade). Leave it in the blade wash for about ten seconds and remove it. Then you can remove the blade, clean it, apply some drops of oil on it, and fix it back. This will keep your blades clean and lubricated. You can also sharpen your blades at home and it’s pretty easy. What you have to do is to disengage the blade from the clipper, disassemble the blade (loose it completely). Get a sharpening device, sharpen the blade and couple it back. Don’t forget to keep the blades oiled with Wahl Clipper Oil when you are done. Grooming your dog by yourself can seem daunting, but it doesn’t have to be difficult. If you want to get started but have questions, check below! We’ve tried to answer some of the more common questions related to dog grooming and clippers. This depends on what type of coat your dog has, and what time of the year it is. Dogs with long and curly coats should be brushed daily or every other day, while dogs with double coats should be brushed one to two times a week. All other coats can be brushed two to three times a week. Most dogs are ready for a trim every six to eight weeks, but make sure you are ready for a special summer brushing session and trim as it starts getting warmer! Can I use human clippers on a dog? The answer to this question is a big “NO.” Human clippers should never be used on dogs. Dog clippers and human clipper are devices that look very similar, but they should never be used interchangeably. Here are some of the reasons why you should not use a human clipper on a dog. Human clippers are designed specifically for humans and they have a durable and powerful motor that trims the hair instantly. Whereas, dog clippers are designed with a very light motor that is more suitable for pets. 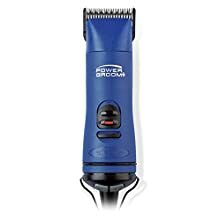 The noise of the human clipper usually scares pets and the powerful motor can be harsh on their skin and it could cut their skin, clippers designed for humans are not suitable for dogs. The kit of a human clipper usually comes with blades that are efficient in cutting the hair off. But the fur of a dog isn’t hair and a human clipper cannot chop dog fur as it chops the human hair. While the use of dog clippers and human clippers are similar, they both differ in so many ways. The human clipper cannot and should not be used on a dog because they can hurt the dog, pets are scared of human clippers because of the noise, and the power, blades, and motor of the human clipper it too high for a dog to be bear. How can I make my dog more comfortable with grooming? A lot of dogs have anxiety about getting groomed! To help soothe them, invest in clippers that are quiet and run cool. Make sure you get your dog used to the grooming process by gradually. Introducing them to brushing and trims, and make sure to praise them and get them treats every time. Start with grooming sessions of only around 5-10 minutes, and then work up to your full session. Don’t forget that your dog will pick up on your emotional state as well, so make sure you are calm too! Can I shave or closely trim my doubled coated dog? If you have a furry dog with an undercoat, such as an Alaskan malamute, Siberian husky, or chow chow. You may wonder if you can shave them down, either to keep them cool or because you are sick of the hair. The short answer is NO, you cannot! These dogs have a special coat to keep their temperature regulated, and if you remove their fur, they will be unable to stay warm or cool down properly. Their coat will also not grow back properly, leading to future issues. The best way to groom these dogs is to brush them extensively and they slightly trim their fur in sanitary areas and chest. Is it safe to groom my dog’s ears, paws, etc.? Yes! These areas can be safely groomed if you need to trim the fut here or remove a mat. You can use quiet, cool clippers to trim the fur here as long as you can go slow and good control over the tool. You can also use a small pair of grooming scissors for small touch-ups. Before you try to groom these sensitive areas on your dog, make sure they are comfortable with you and the process, so they won’t suddenly jerk away and cause an accident. What speed should I use when grooming my dog with clippers? The right speed for your dog clippers will depend on your dog’s breed and their size. For dogs with thick coats, a high speed is best. This will let the clippers cut through the fur without getting caught or tangled. This is especially true if your dog is also big. Smaller dogs and dogs with short, easy-to-groom fur will benefit from a slower speed. This will still cut through the fur, but it will give you more control over the clipper. Remember that clippers with multiple speeds are best, because even a short-haired dog may get a mat, and a high-speed setting can always remove mats with ease. There are a lot of different options available when it comes to grooming your pet, especially if you want to be able to trim your pet at home. Remember to do your research and consider your dog’s unique needs when purchasing your clippers. Hopefully our list of the best dog clippers can help you narrow it down! Once you’ve found the right pair for you, you can save a lot of money by safely grooming your pet at home.